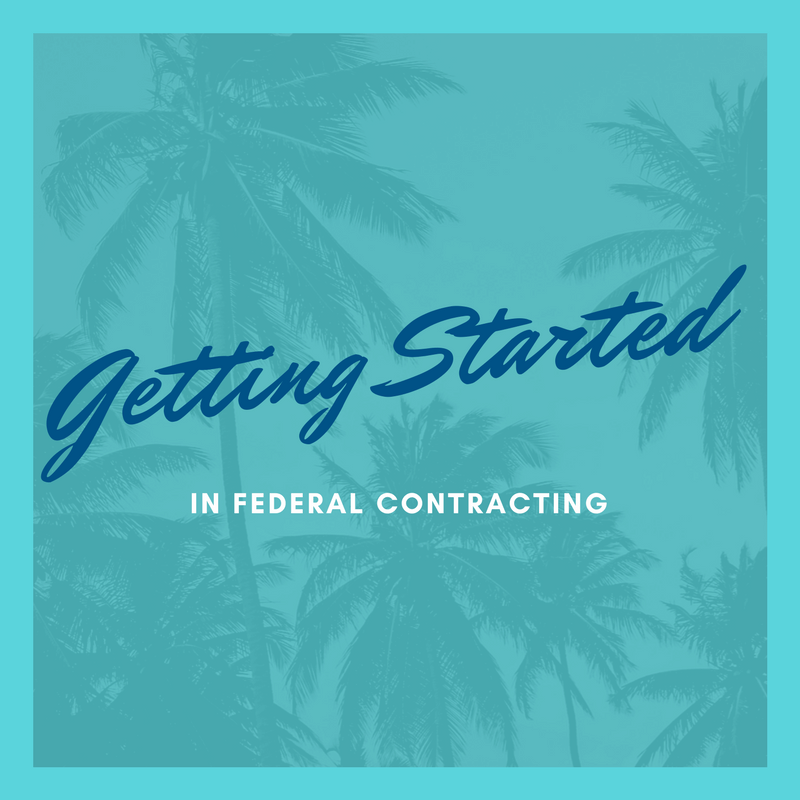 What do I need to know to get started as a Federal Contractor? If you are an established business in the commercial space, and have realized that your services might be useful in the federal market, start by doing research on what agencies typically purchase the goods and services you provide. And then stop for a minute and see if you are really ready to invest in this as a long term strategy – because it will take significant time, resources, infrastructure and patience to break in. Even once you’ve completed the paperwork and started your business development process, plan on a minimum of 18 months to get relationships, join teams and get on your first subcontract. You typically won’t be ready to be a prime contractor until you’ve built significant past performance, established your small business credentials, and created agency relationships by working as a subcontractor. Do I just go and meet with prime contractors? Start talking to potential clients – most people start by talking to prime contractors who are working in that space and find out what some opportunities may be for subcontracting. Start building relationships – keep showing up – it takes a while to meet people and get momentum. Where do I go to find the basics? Look at Small Business Administration website (SBA.gov) and find out what kind of programs are out there. You should have all the checklist items listed under startup – but also research the government contracting area. I’m on the SBA website – is there a specific place to look? Set up in SAMS at www.sam.gov– System for Award Management – register to start doing business with the government – set up a login, add company profile, list what you do, your NAICS codes, your banking information, tax ids. This takes time and you are the only one that can really do it – because they are all your codes and somewhat confidential. I’ve heard I should consider being certified as a Veteran Owned Small Business – is that something I should pursue? Those are set-aside programs that may limit competition to be among similar companies. They may be described as certifications, statuses or TICKETS. Some of these certifications require special procedures to complete, with programs put in place to prevent people from claiming statuses that they don’t qualify for. Once you are registered in SAMS, then you can see how you may qualify – again, plan on doing lots of time-consuming paperwork! But you really need to offer a valued service or product, differentiate yourself, these certifications may help but they are useless if your product or service isn’t something needed. I’ve heard I need to get a Trifold – what is that? What you do, and how you have solved problems for companies. How do people keep all this organized? I’ve been talking to Lockheed, Raytheon and L-3 and they told me to complete the vendor information on their websites – is that my next step? Once you’ve identified some potential prime contractors and opportunities, go onto their websites and start the Vendor Certifications process. Again, be sure to save your logins and IDs – because you’ll need to update periodically. But, remember that you’ll have to work on the relationships with primes and work your way back to the program managers that “own” the projects; this will take some time. Also, keep in mind that these large businesses are VERY RISK AVERSE, so you’ll have to prove you are a reliable company, with strong financial capabilities, and have the business operations back-end ready to support their needs. These prime contractors will be happy for you to find a contract and add them as a subcontractor – no one really wants to do the hard work of finding complex programs. But they are not going to let you on their team until you prove your value. You will have lots of forms to fill out – be sure to save as you go – may want to put key info into your own Word Document and do Cut and Paste – keep building it. Have a clear description of what you do – that will come up over and over. How do I find out what agencies are buying my services and where? Go to USA Spending.gov – research for similar projects and your competitors – try the Advanced Search. Play around with it – you might want to look up a competitor and see how their information is organized and use that information to find similar contracting opportunities. There is so much activity out there – it’s overwhelming! How do I narrow it down? Find out what your competitors or teammates are doing to qualify what contracts and opportunities to go after. DO NOT just go to FEDBIZ OPPS and start bidding on what you find there – it’s too late. By the time you are looking at it, someone else has been studying it and working on the relationships through business development, capture and proposal activities. Since I have a military background, should I just be looking at Department of Defense (DOD) Contracts? What is a GSA Schedule and how do I get one? GSA stands for General Services Administration, which is a huge procurement resource for federal agencies. Look up GSA Schedules at GSA.gov. You can pay people to set up your GSA schedule, but you know they’ll have to ask you for all the information to complete the forms, so make sure you are ready for the time and effort required. This is just like employee hiring – you can pay a recruiter but first you must define the job requirements. You have to pay fees called industrial funding fees (IFF) – think of it as a commission you pay GSA that is built into your pricing. Basically it’s a way that once you identify a potential client that they can put you on a task. Many call it a Hunting License – you still have to go out and find the customers with needs. You have to get some work on it in the 2 years or you’ll lose it. How do I get on one of those big contracts – like SeaPortE or AMCOM Express? SeaPortE and AMCOM Express are large contracts, also called bundled contracts, aka GWACS which are Agency Wide Contracts. They usually have an “open season” where additonal contractors/subcontractors can be added. If you aren’t on them you can’t get to the work – that is a huge barrier that keeps you away from the work. If I do all these things, I should be able to get some work going in the next three or four months or so, right? You can’t do all these things at once. It will take lots of activity over time – takes time for response, etc. It takes time to do all of these things – especially if you are doing for the first time. You need teammates, and people with govcon experience for some guidance. Take advantage of free resources where you can, such as the Procurement Technical Assistance Centers (PTACS), the Small Business Administration (SBA) and your state’s Small Business Development Centers. How do people get something like this going without having any money coming in? Plan on a minimum of 18 months. Try to get a small subcontract or consulting agreement to cover you while you work nights and weekends on growth. What else should I do to be prepared? Where can I develop relationships? Research the agencies and set up meetings with the small business liaison officers. Start attending conferences.. usually local to the command or decision maker initially. Get known by Primes: Lots of phone calls and meetings, Small Business liaisons, but you have to get to the Program managers who understand your unique capabilities and what you can bring. What do I need to know about accounting, cost and pricing? You will want to be planning toward a system that will meet requirements – you don’t want to revamp your entire system today based on possible future work. Expect the process of getting set up for DCAA Compliance to take 6 months to a year: you’ll have to get the systems set up and running, PLUS train your people and have documentation. Besides the accounting systems and processes, you’ll have to think about processes for Human Resources, Business Development, Contract Management, Security and other operations. For example, you may not be hiring a large technical staff ahead of time – you’d wait until the contract starts … but you have to recruit, submit resumes, have a resume database, hiring process, DOCUMENTATION, etc. How do I filter the advice from other people? Ask LOTS of people, and compare the answers. Federal contracting is a unique area and you need to talk to people who have extensive federal expertise. For example, your regular tax accountant will tell you that until you are profitable, don’t pay yourself, because you’ll pay more in payroll taxes and income tax. BUT, in the federal contracting work, that is BAD advice: you can’t support your pricing if your labor is not included and supported by your payroll records. Your banker may tell you the profits are too low in federal contracting, and that they don’t understand why your net income is only about 3%. On contracts, you can expect your fee percentage (profit in the GovCon world) to be around 5% to 8%, with other expenses such as interest expense (an “unallowable cost”) reducing net profit. You have to LOVE the mission to be successful in federal contracting. The profit comes in long term contracts that generate stability and cash flow over time, especially if you can build up a backlog of contract work that increases the value of your company when it’s time to sell. There are bankers that specialize in federal contracting, as well as factoring companies that only support federal work – be sure to connect with them since they’ll understand the industry and its unique financing requirements. You’ll be told to hire business developers who have relationships with agencies, but you’ll want to wait a bit. First, develop some work yourself so you have a good idea of what to go after and how. When you do need to hire experts – but make sure they know government contracting. And when you hire for corporate staff such as Accounting, Contracts, Proposals – recruit people who have already been in the industry and trained by large primes. This article is a summary from the Florida GovCon Podcast – here’s a link to the podcast that you can listen to on your computer, from our website at www.solvability.com. Solvability helps small businesses win federal contracts – schedule a call with me from our website to find out if and how we can help you.